Sharon Drew Morgen » What’s the buyer’s responsibility? I was going to call one of my books “I’d close more sales if it weren’t for the buyer” thinking that people would laugh at the silliness. But when I got an immediate standing ovation from 600 people when I said this, I realized that sales people believed it, ridiculous though it is. It’s like saying I’d have had a better birth if it weren’t for my mother. We give prospects our time, our respect, our knowledge. We call them on time, we follow up with information. We dote on them. Truly we do. Hoping, hoping, hoping, that this one, THIS ONE, will close. Because they all begin with the same possibility, we believe that each one will close. We’re always surprised when they disappear. No rhyme or reason, it seems. So what, exactly, does a buyer owe us? Nothing. Indeed, we’re not treated well. When sellers approach prospects to sell a solution they really need it’s all about us: we want something from them. Oh, sure, we’re nice – helpful, understanding, supportive. But we end up getting disrespected because we’ve attempted to enter their ‘closed system’ (see Dirty Little Secrets to understand a buyer’s environment and why they push back). Until a system knows how to seek and accept change – and a new solution is change – it will avoid anything from the outside trying to make change happen. I was acting like a true business consultant – not just telling them about a new solution or proving how they could be more successful. It was fascinating to me the respect I got. Here is a simple example of the difference between me being totally disrespectful to a cold caller, and how I would have made the same call (yes, even on a cold call) that would have gotten me respect. Years ago, in the days when we paid per minute for phone calls, I got a cold call from a man selling cheap minutes. “Hey. What provider are you using for your phone,” he began. Really. That was his opening. SDM: Cheap is not my criteria. SDM: Great. YOU buy your solution. And I hung up on him. He could complain at how rude I was, but I was just responding to the rules of the conversation he initiated: he interrupted my day to push his solution on me – something I saw no need for – and then made me wrong! Here is how he could have done it and gotten my interest, and respect. SELLER: Hi. My name is John from ‘Cheaper Minutes’ and this is a sales call. I sell telephone services. Can you tell me if your current phone provider gives you all the services and prices you’re comfortable with? SDM: Sure. I like my provider a lot. While not the cheapest, they give me great service, the system never goes down, my bills are always accurate, they take my calls without keeping me on hold forever, and they effortlessly make whatever changes I need them to make. So net net, I’m a happy camper. SELLER: Good for you! Wow. It’s not often that I hear someone say they are happy with their provider. Impressive. SDM: It is impressive. I have a long history of hating phone companies. This has been refreshing. SELLER: We are a new company that operates a new way, with very high end customer service, and better pricing than the larger providers are able to offer. Given our focus on customer service and much lower pricing, how would you know that we might offer you a service worth considering? SDM: I guess I’m afraid to rock the boat. I wouldn’t mind having the service be cheaper – I make a lot of out-of-state calls and my bills are pretty high. But I don’t know how I’d know before switching that you could match the service I’m getting. SELLER: What would you need to see from me, or know about us, to know if we could meet your criteria? Obviously, it wouldn’t make sense for you to switch if you wouldn’t get the service you require. SDM: Do you have any happy customers who would be willing to speak with me? Do you see the difference? In one, I’m being pushed into a purchase. And sure, it’s a telemarketing call. 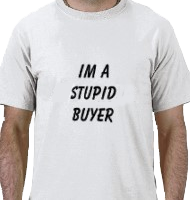 But it’s possible to help buyers make buying decisions even on a telemarketing call. Working from the buying decision end rather than starting from a solution focus makes it likely that the buyer will treat the seller respectfully. Even in a large, complex sale, sellers unfortunately start from the ‘needs assessment’ end of the spectrum because they seek to place a solution rather than help buyers decide how to make a change. But starting with facilitating a decision changes the entire conversation.